The FBI reports that in 2017, there were nearly one and a half million burglaries in the United States, with property losses totaling $3.4 billion. Don’t become a statistic! Keep your home safe with these DIY security tips. Lock exterior doors and windows. Duh! Surprisingly, as many as 30 percent of burglaries occur without forced entry. Leaving a door unlocked makes it simple for the most amateur thieves to walk in and help themselves to your stuff. That’s a shame, when it’s so simple to lock up. Change your locks as necessary. One of the best – and simplest – security tips is to change locks or combinations to all entry doors as soon you move in. Ditto if you’ve recently allowed access to a crew of, say, remodelers or health care providers. 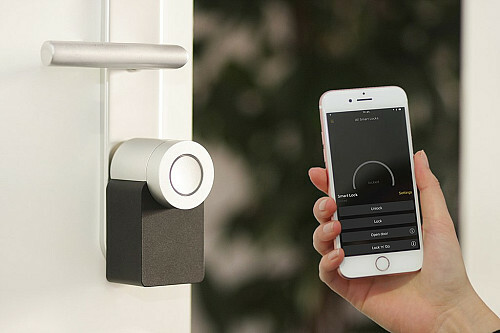 If you have workers coming and going on a regular basis, a smart lock will let you control who has access when. Reinforce the door jamb and hinges, as well. The cost to purchase a do-it-yourself “door armor” type kit is usually less than $100. All you need to install one is a few basic DIY skills, a drill, and a spare half hour – a truly worthwhile investment! Keep your garage doors closed. Open garage doors are an “open” invitation to burglary. Even if you're nearby, you may not be aware of an unauthorized someone rooting around in your garage. An automatic garage door closer with a choice of timed settings is a great home security device. 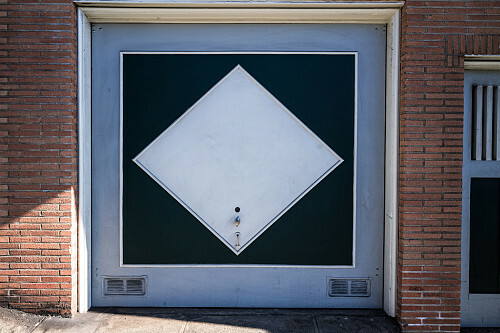 Or install a pass door in your garage door for easy access, so you won’t be tempted to leave it open. Clean up your yard. Trimming trees and shrubs reduces potential hiding places for someone casing your house for a robbery. Yard clean up minimizes the possibility that a thief will either make off with valuable household equipment left lying around (such as hedge clippers or a stepladder) – or use it to help break into your home. Utilize security lighting. Exterior security lighting, particularly motion sensor lights, will discourage anyone skulking around your house after dark. Don’t forget interior lighting too -- not that single bulb which is a dead giveaway the house is empty -- but lights you can remotely switch on and off from wherever you may be.